Host this four day event at your church! One man, Constantine, ignited a global movement when he united Christianity with Roman power. Discover how this one action altered the way we think about religious freedom—and what it means for our lives today. 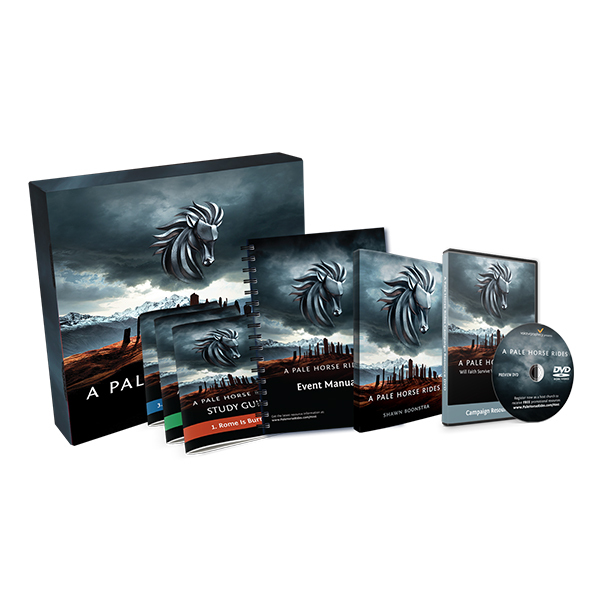 Designed for the history buff in your life, and for the people you know who might be interested in Bible prophecy. We’re making it for your friends and neighbors who have this nagging feeling that maybe something went wrong within the religion of Jesus at a time in the distant past. 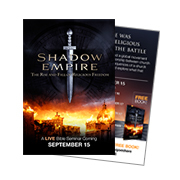 Shadow Empire is an easy way for your church to connect with your community. 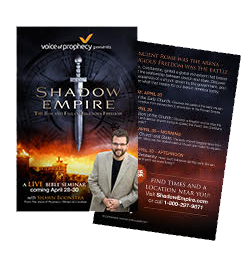 The Voice of Prophecy has specifically designed Shadow Empire to bring people from your community through the doors of your church. This project is designed to help fill one of the deepest needs we all have–a deep need to share Jesus and introduce people to our church, in a way that isn’t awkward, or uncomfortable. 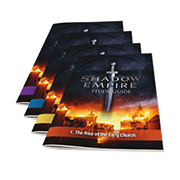 This Box Set includes everything you need to host Shadow Empire in your church. Turn your members into missionaries with one of our bundles! 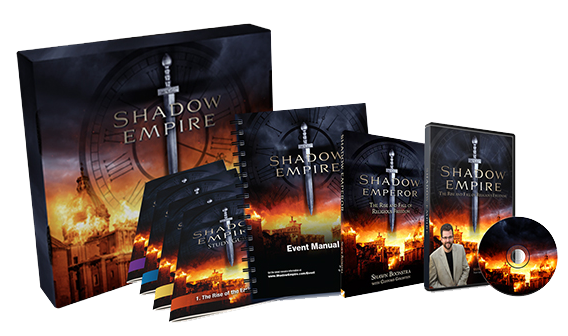 These bundles will save you money, while giving you the best tools to invite your community to Shadow Empire. We’ve combined the best, basic necessities to help your church members invite their friends, co-workers, and circle of influence. Need help deciding? Call our marketing experts at 1-800-525-5791. These resources may be purchased individually as an add-on to your Campaign Kit. 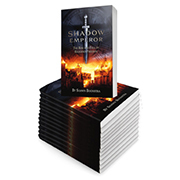 To view all of the resources you can purchase for Shadow Empire, visit SermonView.com/ShadowEmpire. 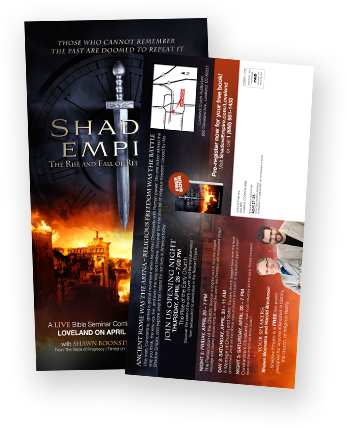 Shadow Empire has been specifically designed to bring people from your community through the doors of your church. This project helps to fill one of the deepest needs we all have: this deep need to share Jesus, to find some way to introduce people to our church— some method, some event—that isn’t awkward or uncomfortable. That’s the reason for Shadow Empire. What we’re going to do is take something really interesting—something most of the world is talking about anyway—and we’re going to showcase it from a user-friendly, Adventist point of view. Shadow Empire is a four-part seed-sowing experience. We’re designing this for the history buff in your life, and for the people you know who might be interested in Bible prophecy. We’re making it for your friends and neighbors who have this nagging feeling that maybe something went wrong within the religion of Jesus at a time in the distant past. We want to help you invite those people into your church. This a powerful and interesting way to encourage your friends to visit your congregation and just get to know you.